Ever wanted to use your non-jailbroken iPhone, iPod touch, or iPad as a USB flash drive? Then head on over to Phone Disk right now and grab yourself a free download for either Windows or Mac. Once installed, Phone Disk lets you use your iOS device of choice like a flash drive, with the majority of the file system available for browsing. Like a ‘disk mode’ or ‘mass storage device’, you can dump pretty much anything you like on any free storage space you might have, for transport anywhere to any other computer with Phone Disk. Simple, elegant and useful. Free till 1st December 2010. If you’re like me you have an iPhone and a portable computer running Ubuntu and you would like to have mobile internet without paying for an extra data plan from your carrier. Thanks to a few devoted individuals tethering the iPhone to Ubuntu is simple. The only prerequisite is that you must have an iPhone 3G or 3GS running OS 3.0 or higher. If you’re running 3.0 then you can do this without jail breaking your phone by installing a modified carrier profile. However, if you’re on OS 3.1+ then you will need to jail break your phone to install the modified carrier profile. This tutorial is written for those who are not familiar with Ubuntu/Linux and is very detailed. If you are experienced feel free to just grab what you need from it. Once everything stops working and you’re back at a blank command prompt you can then close Terminal and open the “Bluetooth Manager” which can be found in the “System>Preferences” menu. (Note: A reboot may be needed for it to open) To pair the devices you will need to turn on Bluetooh on your iPhone and computer. To turn it on on your iPhone open the Settings application from your springboard, when the settings screen appears press the “General” button near the bottom, from here press the “Bluetooth” button, and then press the switch to turn it on. Once on you should see a list of devices as well as a message near the bottom saying that it is “Now Discoverable”. In the “Bluetooth Manager” program press the “search” button and the list should be populated with nearby discoverable Bluetooth devices. Locate your iPhone 3G(S) from the list, select it, and press the “Keys” (pair) button above it. At this time Bluetooth Manager will attempt to pair the two devices. On both the iPhone and your computer you should see a prompt asking you if you want to pair the two. Press “Pair” on your iPhone and “Yes” on your computer. Once paired, press the diamond on Bluetooth Manager to trust your iPhone. Now that everything is set up, you can go back into the “General” tab on your iPhone’s settings and select “Network” near the bottom you should see “Internet Tethering” (if you don’t then you need to install the proper carrier profile to enable it) press on it and turn it on. Lastly, go back to the Bluetooth Manager program on your computer, right click on your iPhone and select “Network Access Point” from the option “Connect to:” it will work and hopefully give you a “Connection Established” message. Your iPhone should now have a blue banner with “Internet Tethering” on it. If all went well, you should now be able to access the internet through your iPhone’s data connection. When it finishes plug in your iPhone via USB, if internet tethering is enabled you should see a new interface pop up and a blue banner on your iPhone along with a dialog on your computer notifying you about a new ethernet connect. If not, check to see if tethering is enabled by opening the Settings application on your iPhone and navigating to “General>Network”, near the bottom you should see “Internet Tethering” (if you don’t then you will need to download and install the proper carrier profile) press on it and turn it on. Open up a browser and enjoy your mobile internet. Hopefully, you ran into no errors with this tutorial. If you did let me know, or let me know if you ran into any error with anything else pertaining to it. A new charger from Horizon Fuel Cell Technologies can help power your gadgets when there’s nowhere to plug into but the sun. 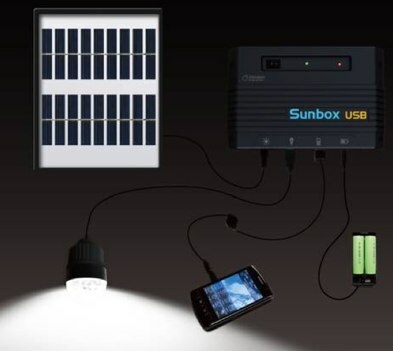 The Sunbox USB has a panel that can be attached outside of a house or tent that connects to a box with several charging ports. Horizon claims the unit can power an LED light included with the device for as long as 11 hours, so long as the panel sees the six to eight hours of sun it needs for a full charge. A pair of USB ports help keep gadgets charged, and two other ports – one for charging cell phones and one that connects to a couple of AA batteries – could help you stay connected in remote areas. The $79.99 two-part system might not be the most convenient thing to toss into a backpack for a camping trip, but it could provide power in remote areas or in an emergency. Other products like Lenmar’s Powerport for $69.95 and are more compact but don’t offer and LED light and the option to charge AA batteries. Less expensive options like the $30 Scosche solBAT II are much smaller, but take a lot longer (four to five days!) to produce a full charge from solar alone. Charging while off the grid could be convenient, but whether or not a cell phone can find signal after it’s charged is another story.